Bookmaker Customer Support Test - Which ones are the best? All companies boast of their excellent customer service so we picked 10 influential bookmakers and tested them to check which one actually is the best at answering their customers’ needs. And now bonuscodebets.co.uk is proud to present the results of our research. 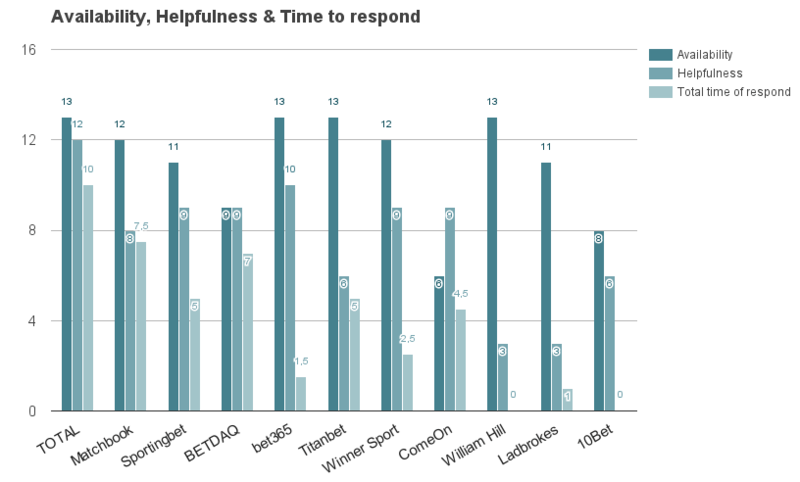 See, which bookmaker has the best helpdesk 2015/2016! Don’t Want To Read About The Method? See The Results! Why the Bookmaker Customer Service Test? Here at bonuscodebets.co.uk we aim to give our users more than just an overview of all the bookmakers across different countries and the best bonus codes you can find for them. Our goal is much bigger. What we want to do is to provide the information our users need to make a fully informed decision about which bookmaker to choose. This is one of the main reasons we decided to conduct a test into bookies customer service. In order to be as unbiased as possible a series of measures were put in place. The ten chosen bookmakers were all contacted anonymously. We didn’t notify any of them about the test beforehand and we didn’t use company emails as we pretended to be potential customers. Each bookmaker was asked four questions that covered four basic areas of their operation. We asked a question regarding bonus offer, market availability and deposit options, as well as an uncomfortable question about the way each bookmaker is setting odds (which isn’t knowledge any bookmaker would share lightly – and for the most part they refused to answer). Two of the questions were asked via email, two via chat. How did we ensure anonymity? We spent a lot of time ensuring the anonymity of the research. We created four different email accounts and each question was asked from a different account. We also made sure that the IP address we used was different each time. Since it was a test designed for the British market we were careful enough to use only British IPs. In addition to all that we also created fake accounts with all ten bookmakers – this way, if there was any significant difference in assistance for registered and non-registered users we could also check that. Incidentally, there wasn’t. Aiming to be as fair and as meticulous as possible, we decided to send the questions on four different days of the week (including Saturday) at four different times of the day. All of the operators received the exact same questions via email. It was a bit more difficult to ask the same thing when communicating with the helpdesk workers on chat but while conducting the test we tried to stick as closely to the previously created script as possible, in order to get the answer as quickly as possible. When deciding what it was that we wanted to test exactly, our main priority was focused on the needs of the users that are forced to seek help from customer support. We put ourselves in their position and we figured out what were the most important issues when contacting a helpdesk. Our findings weren’t revolutionary: our guess was that practically any customer, regardless of the business, wants to have his or her problem solved as soon as the problem starts to occur and in as short a period of time as possible. 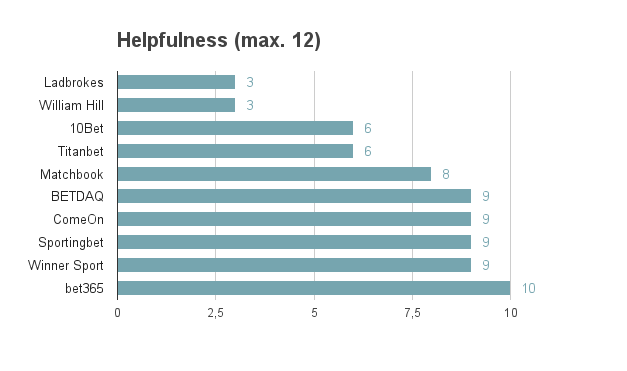 Therefore we decided to rate the three most important aspects: helpfulness, availability and time of response. When it comes to helpfulness we believe that a fully answered question is worth twice as much as a somewhat helpful response. An answer that was fully satisfying was awarded three points. At this point it is important to stress that we didn’t take into consideration any offers from the bookmakers. For example, answers about a bonus offer that thoroughly explained all the requirements were considered as helpful as information from bookmakers who weren’t offering any form of a welcome bonus. An answer that was only of some help was awarded one point. As were answers that suggested where to find more information – eg in the FAQ section. As polite as it is, the message does not help the user at all. Especially when we take into consideration the fact that the message this email replied to was about a welcome bonus. 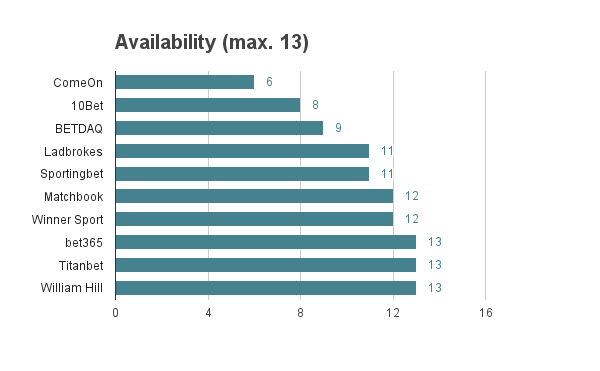 Another aspect of our test was availability. Here we checked all the ways that each of the ten bookmakers could be contacted. This is where, as a rule, the bookmakers had the highest score. Based on what the bookies said and our further verification of their answers, we granted them points for each method of contacting them. We realise that some of these resulted in easy points (e.g email) but we developed the system of awarding points before conducting the test. In fact we had prepared for every possibility, which is a good job, because there was one bookmaker that didn’t even offer phone support. How did we award points in this category? There was one point for each way a bookmaker could be reached: phone, live chat, email/on-page message system and FAQ. In addition we decided to award points for opening hours for chat and phone (max. four points if the phone/chat is available 24/7). When it comes to chat there was also one additional point to gain for the possibility to connect without being logged in. We also awarded one point for a toll-free number for UK customers. If you have a problem you want the customer support to address it immediately. Therefore in this category we were siding with the customers rather than the bookies – achieving maximum points was extremely difficult. We sent two emails and asked two questions via chat. Each of these offered five points. Measuring the time of response was fairly uncomplicated. Each email has this information encrypted. As mentioned earlier we valued quick responses. An answer that got to us within a day was still valuable (one point if the email was replied to in 6-24 hours). After a day has passed the information is not as valuable as it’s too late by then. 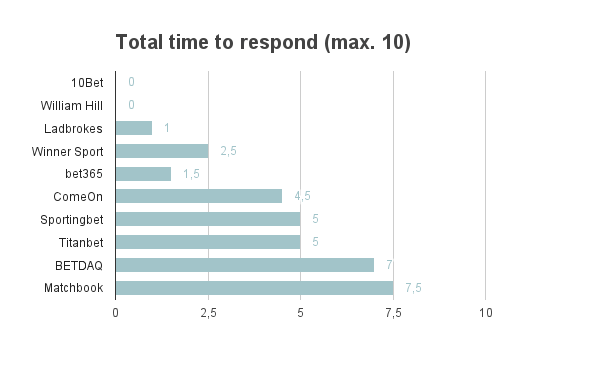 When it comes to measuring time spent on chat facilities we did experience some problems. Most bookmakers don’t offer saving/forwarding to email when it comes to chat transcript, neither do they show the time of sending the message. From their point of view it makes sense, especially on busy days, when they have to ask customers to wait longer than usual. All of this didn’t stop us from timing each chat. if we were asked to wait for the answer we wouldn’t write anything in the chat for precisely ten minutes – we believe that this is a sign of extreme patience – as we can’t imagine any user waiting longer than this. Enough about the rules! It’s the time to reveal which bookmaker has the best Customer Service 2015/2016. The bookmaker that performed best is Matchbook! Below we present the detailed graph of the performance. For each bookmaker we present the points earned in all 3 categories. The first set presents the maximum points available. The bookmaker with the best customer support service for 2015/2016 is Matchbook! Its employees were available to customers all the time. They were most helpful and answering to the point. However the biggest influence of the score was the time it took us to get the information we requested. 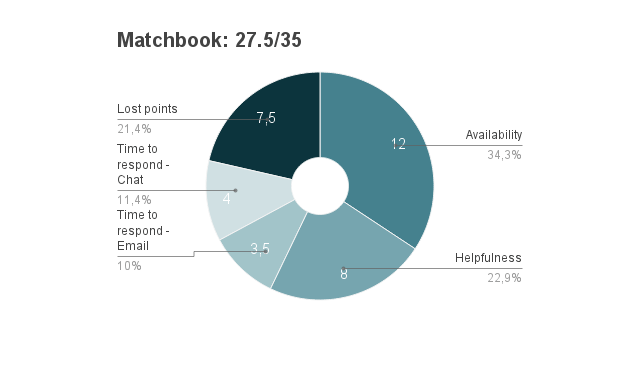 Matchbook’s helpdesk was unquestionably the fastest to respond, especially via email. In second place we have two bookmakers: it’s Sportingbet and BETDAQ. 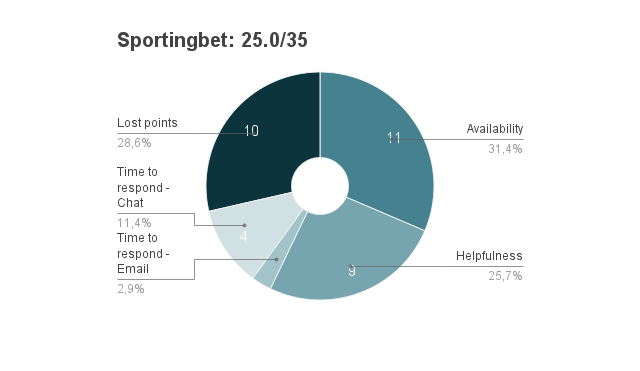 Both were equally as helpful, scoring nine points each and the only difference between the two was the time it took them to respond to our inquiries (BETDAQ’s emails got to us really fast, whereas Sportingbet’s helpdesk is open longer). Check out what BETDAQ has to offer! Now that we know who grabbed the trophy, we can go through data in detail. Starting with the best bookmakers in each category and ending with a Hall of Shame – and some bookies really have things to be ashamed of! 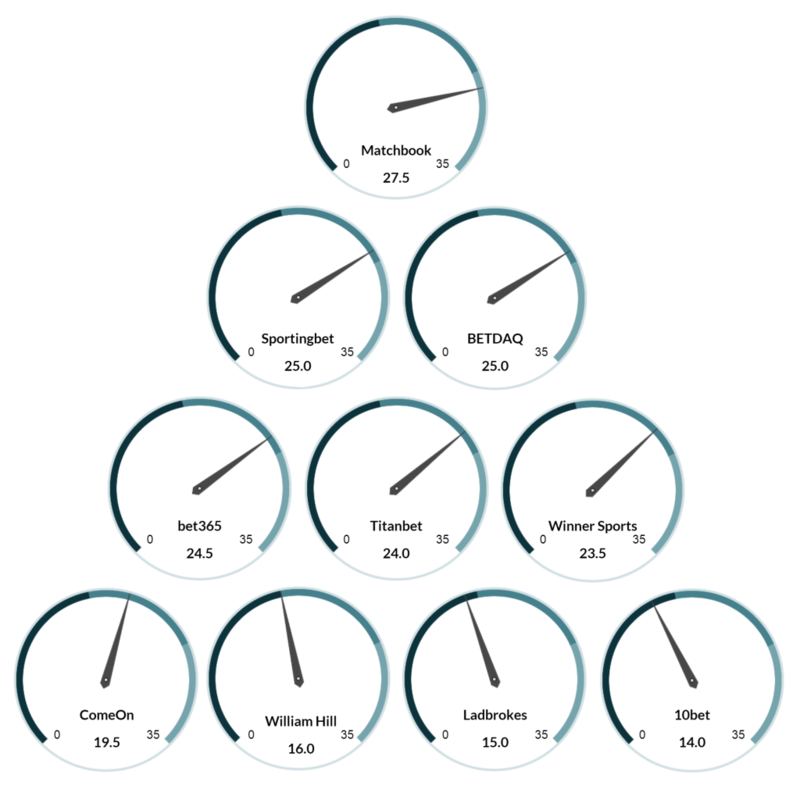 Firstly, however, let’s focus on the TOP 3s of our bonuscodebet.co.uk helpdesk test. We have to admit, we find this category the most boring of the three. Having a 24/7 customer service is not really a reason to brag – it’s practically a standard. This is the reason why this Top 2 goes to the biggest (most resourceful) players in the market: bet365 and William Hill – these guys can simply afford it. Two times 13 out of 13. Winner Sports also did reasonably good here. 12 out of 13 is a decent score. As is the bookmaker itself. This is where it gets interesting. Firstly, because none of the tested bookmakers got 12 out of 12. And secondly, because half of the tested bookmakers made it into the Top 3. bet365 triumphed as they gave answers that were mostly to the point and helpful. Moreover, the employees of the bet365 customer service are at times anticipating questions and providing users with answers to unasked inquiries – for example if they are often asked in pairs (such as deposit and withdrawal methods). Other bookmakers were also helpful answering promptly and in most instances dispelling any doubts. 7.5 out of 10 points is the score that Matchbook achieved and no other bookmaker could better that. The time to reply for emails was especially exceptional. We don’t know if it is the discipline at Matchbook’s Customer Support or if it’s just that the employees are bored, but whatever it is – keep on doing it Matchbook! Both questions asked via email were answered within an hour. The subjects covered over chat were resolved in less than ten minutes in total! Well done! We’ve seen the best customer service, now let’s take a look at the bookmakers with the worst helpdesks. However, before we do that there is one thing that needs to be made clear. Our aim was to make sure that customers are getting the best and the fastest service they can get. We made this test difficult on purpose and therefore some things that we never expected a bookmaker could miss, like a phone number, were graded with a high number of points. Not having a possibility to talk to customer support specialist over the phone would make you lose a lot of points – and this is what happened with ComeOn. What we believe to be a really thoroughly considered decision – the lack of phone customer service – turned out to be a significant disadvantage in the test. Beforehand we had decided to award up to five points for long opening hours for phone customer service desks. ComeOn does not offer contact via telephone and therefore didn’t get any points here. Learn more about ComeOn from our review. 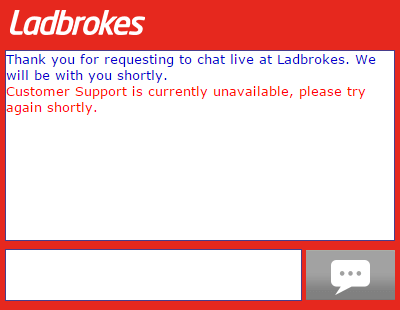 A special kind of award goes to Ladbrokes at this point though, who claimed that their chat customer support is available 24/7. But when we tried to contact them the chat was ‘currently unavailable’. They asked us to try again in a short while – which we did. Repeatedly, for over 50 minutes – and we believe that is more than most customers would be willing to wait. So there was no points awarded for the chat on weekends only, even though we feel like we should have been more strict and remove all the points for chat – as a punishment. However, please keep in mind, that Ladbrokes is not all bad – check the full review of the bookie. This is, in our opinion, the most important category. If a bookmakers helpdesk doesn’t offer help, what is the purpose of having one? We were deliberately hard on all of the bookmakers. We have already mentioned the award of zero points for answering a question with a question and that serves as a perfect example. However, what is even worse is not answering at all – we didn’t include that in our scale (neither did we introduce minus points), but we’re pretty sure that not getting a reply is even worse. And William Hill didn’t answer any of our emails for days. We actually started to doubt if we had ever sent them because a proper email address was nowhere to be found. The only way to message them was to fill in the form on their website – so if you made a typo in their address there would be no recipient to answer to. In addition to that, there was no confirmation that the message was received by the bookmaker or information about the delay. Their response finally got to us 154 hours later – we had to wait over six days for contact! That’s not acceptable – and more importantly, not helpful. This is why William Hill is in the Hall of shame. However, here again – not getting a response played a big part in this Hall of Shame. The good practice we can mention is what ComeOn and Ladbrokes did – informing users that they are exceptionally busy at the moment and apologising for making the user wait longer than normal. It did not change the result – after all a helpful message is the one that counts, but definitely made a positive impact on our overall impression. It would appear that all of the bookmakers have a lot of improvements to make. In our opinion their number one priority should be time of response, as it is the area that we have the biggest expectations for. We would be happy to see our users being helped as soon as possible after they get in touch. However, this doesn’t mean that there is nothing to aspire for in other fields. Helpfulness and availability are important to the users and therefore we would hope that bookmakers improve in these fields as well. From our research it seems like a number of the bookmakers were proficient in some areas and not in others. Only a few bookies achieved top marks in all the areas tested. Although we wanted to see which bookmakers had the best customer service we would hope that all of the online bookies understand that this is a very important part of their business to get right. 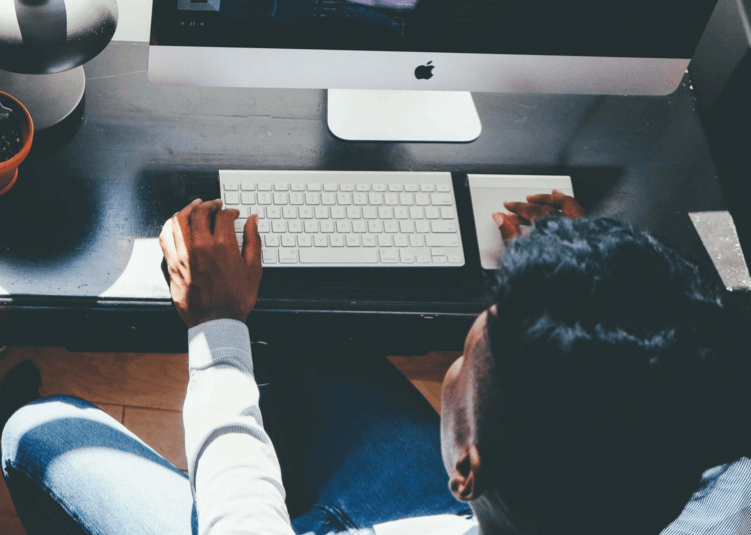 It may be very rare that a user has to contact a customer service team but the one time they do reflects on the company involved and leaves a lasting impression. So all that is left to say is congratulations to the winner – Matchbook! And to the bookmakers that was last in our test – 10bet, Ladbrokes, William Hill – we hope you will do all you can to improve your customers’ experience.